Who said work romances were a bad idea? Who said long distance relationships don't work? If ever there was a couple who proved all the stereotypes wrong, it is Bradley and Louise! Their relationship really does go to show, when you meet THAT person you will travel to the ends of the Earth to be with them (literally!). When Louise went to Australia for a year at the very early stages of their relationship, it could have easily all fizzled out, but Brad was determined that this was for real, and followed her out there just two weeks before she was due home. They experienced the world, and grew together, making the basis of the super loving and very fun relationship which they now enjoy. 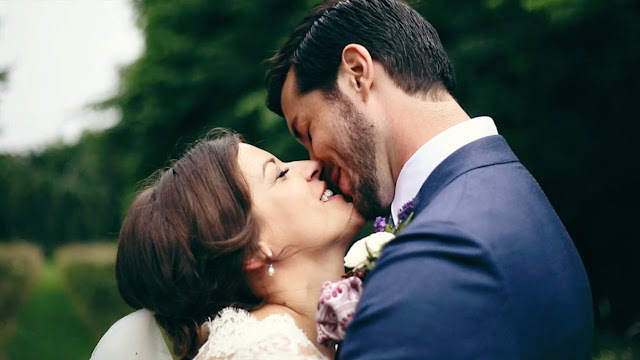 So let's get to it...complete with stories about Facebook stalking and even its own Garage MC (Brad's brother), welcome to Brad and Louise's full wedding film!